Delhi Police had earlier announced a reward of Rs 50,000 on information leading to his arrest. 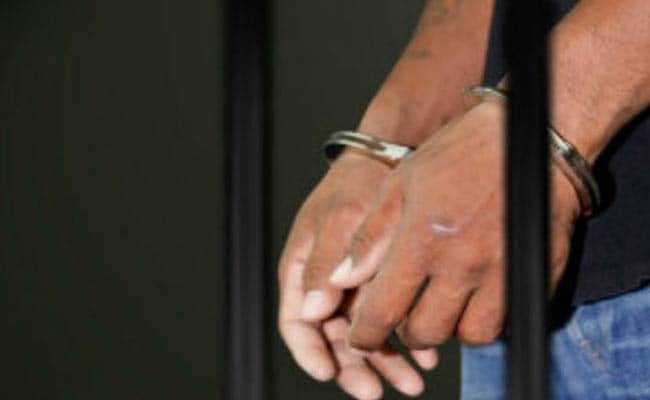 New Delhi: Police have arrested a 23-year-old man, who had been wanted in several cases of murder and attempt to murder in Delhi and Haryana. The accused, Sombir alias Cheli, was arrested from PVC Market in Tigri in West Delhi yesterday by a police team, said Deputy Commissioner of Police (Special Cell) Sanjeev Kumar Yadav. He had tried to fire at the police team in a bid to escape but was arrested after a scuffle with policemen. "An Italian-made sophisticated pistol loaded with five live cartridges was recovered from his possession," the officer said. Delhi Police had earlier announced a reward of Rs 50,000 on information leading to his arrest. Haryana Police too had announced a reward of Rs 25,000 on information leading to his arrest. Last year, he, along with his associates, had shot dead one Amit in north Delhi's Mukherjee Nagar area. In Haryana, he, along with his associate Umesh, had fired bullets at the paternal uncle of Amit, a day after the latter's murder, said the DCP. Umesh was also carrying a reward of Rs 75,000 on his arrest.